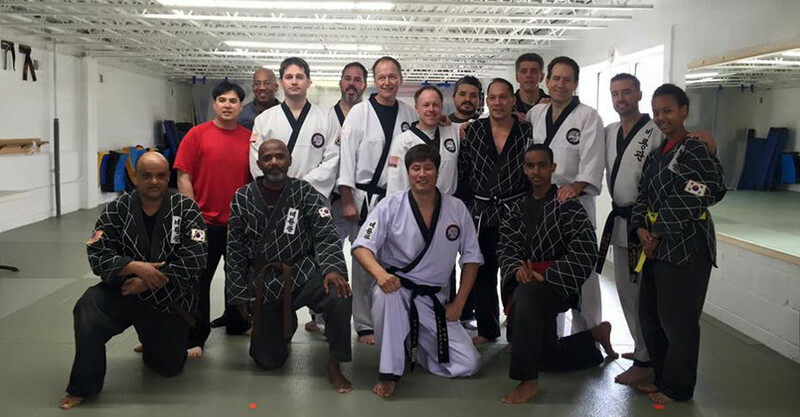 HapKiDo teaches multiple movements in self defense, joint locks, pressure points, and forms. The classes emphasize strength in both the body and the mind. Basic Kicking: Some kicking techniques include, but are not limited to, knee and heel strikes, shin kicks, spinning kicks, and hook kicks. Each belt level contains three to eight kicking techniques. Release and Strike Techniques: These include both offensive and defensive methods of punching, uniform grabbing, and throwing. Ground and Rolling Techniques: These techniques include basic and advanced falling, jumping, and rolling. A Breaking Technique: Breaking a board with a kickThe Hapkido Program is for adults and older teenagers only. 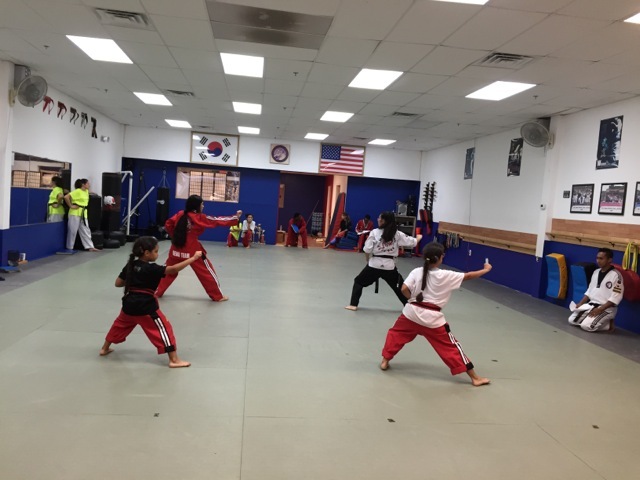 For more information on our Hapkido program, please feel free to talk to Master Yun personally. 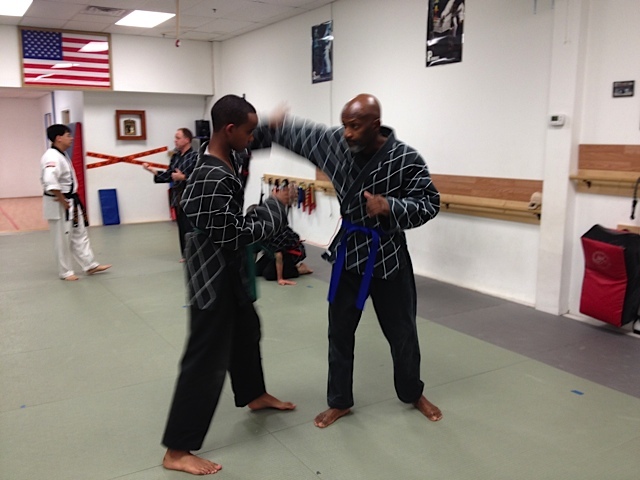 The HapKiDo program is for teens and adults only. 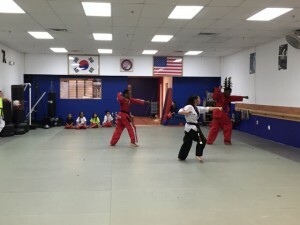 If you are interested in HapKiDo, please come by the studio and speak with Master Yun personally. These students are black belts in BOTH Taekwondo and Hapkido. 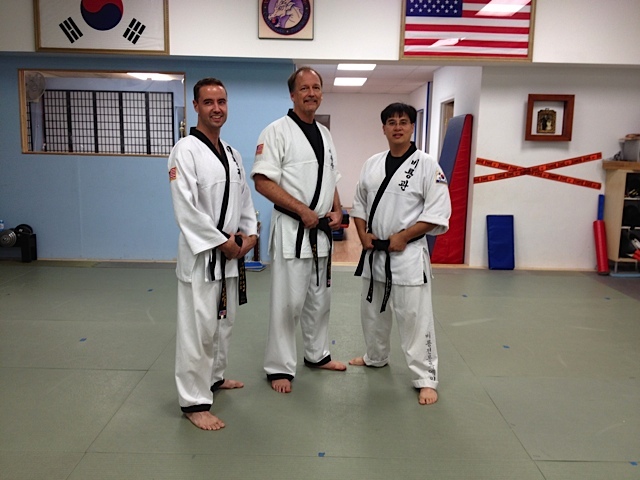 Jess (right) is a second degree black belt in Taekwondo and also one of the instructors. A martial arts workout is the best workout ever! Every class is different, but every class starts with a warm-up, stretching, cardio, strength training, forms and kicking. And every TKD class includes cool K-pop music! Start Your Two-Week Trial today!